More than a quarter of these reports were classed as 'serious', a category that includes symptoms severe enough to require hospital treatment or even be life-threatening. Concern about side-effects has led Japan's health ministry to stop recommending girls be vaccinated. European authorities are investigating possible links with the rare heart condition postural orthostatic tachycardia syndrome. But UK watchdog the Medicines and Healthcare Products Regulatory Agency, which collected the figures on suspected side-effects, urged parents not to worry. It said the HPV vaccine has been given to more than eight million people in the UK, and there are 'no major safety concerns'. Charities warned that cervical cancer can cause infertility and early menopause, as well as kill. Cervical cancer is the most common form of the disease in women under-35. The HPV jab has routinely been given to 12 and 13-year-old girls since 2008. It prevents infection by the sexually transmitted human papilloma virus which is behind the majority of cervical cancer cases. It is thought the vaccination programme could save almost half of the 1,000 lives lost each year to the disease. However, campaigners say parents are not being given enough information about potential side-effects of the vaccine. Manuel Martinez-Lavin, an expert in chronic pain, has urged doctors to be aware of possible links between the jab and postural orthostatic tachycardia syndrome, where simply standing up after lying down can trigger an abnormally high heart rate. The vaccine was introduced as part of the routine immunisation programme in 2008 and it protects against the two HPV types that cause 70 per cent of the cases of cervical cancer. Screening is still needed to try to pick up cervical abnormalities caused by other HPV types that could lead to cancer. Since September 2014, girls have received only two injections; the second is taken six to 24 months after the first. The NHS says the programme has proved to be 'very effective'. Cancer Research UK points out that cervical cancer is the second most common cancer in women under the age of 35. In the UK, about 3,000 women a year are diagnosed with cervical cancer and it is estimated that about 400 lives could be saved every year as a result of vaccinating girls before they are infected with the human papilloma virus. He is also concerned about links with fibromyalgia, a condition that causes long-term pain all over the body. Writing in the journal Clinical Rheumatology, Dr Martinez-Lavin said while vaccination has been 'one of the most effective public health measures in the history of medicine', side-effects seem to be more common with the HPV vaccine than with others. The Medicines and Healthcare Products Regulatory Agency said the 'expected benefits in preventing illness and death from HPV infection outweigh the known risks'. Importantly, the 8,228 adverse drug reaction reports in the past decade about the jab relate to suspected side-effects. They do not prove a link with the vaccine. And Claire Knight, Cancer Research UK's health information manager, said: ‘The HPV vaccine is very effective at preventing infection by the two types of human papillomavirus responsible for around 7 out of 10 cervical cancers. A statement from the vaccine's manufacturer Sanofi Pasteur MSD's said: 'Our mission is to provide high quality vaccines to help protect adults and children from serious infectious diseases. 'The safety of our vaccines is of the utmost importance to us; our vaccines adhere to strict testing procedures to assess their quality, efficacy and safety before being administered to the public. Five years ago, Katie Green played cricket for her county, excelled at rugby and was academically gifted. Today, she tires easily and is on invalidity benefits thanks to a 'brain fog' so severe she finds work or study impossible. 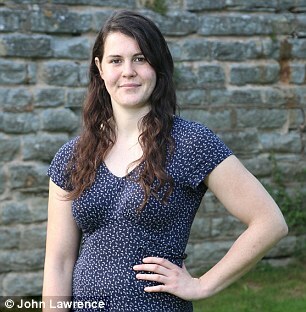 Her mother Carol, a teacher, blames Katie's decline on the HPV jab she was given at 15. Katie, of Upton-upon-Severn, Worcestershire, became groggy after the first dose and severely unwell shortly after the second, feeling dizzy, exhausted and lacking co-ordination. Her energy levels have improved but she still gets tired after running a few steps. GSK, which makes the Cervarix vaccine given to Katie, said it was 'rigorously tested' in clinical trials before its introduction and had been monitored ever since for safety and effectiveness.